No matter what I do, it always looks like I was up all night partying. It's not like I wear party dresses to work and have confetti in my hair or anything: it's these darnn dark circles under my eyes. I've tried just about everything to get rid of them, but no dice. I've tried expensive creams, heavy concealers, actual sleep -- nothing helps. Do I need to just start saving up for laser surgery or what's the story? Really hoping you can help me find a drugstore product that will solve my problem. In this case, there are several products that might hold a solution for you, but first, let's talk about why dark circles happen in the first place. 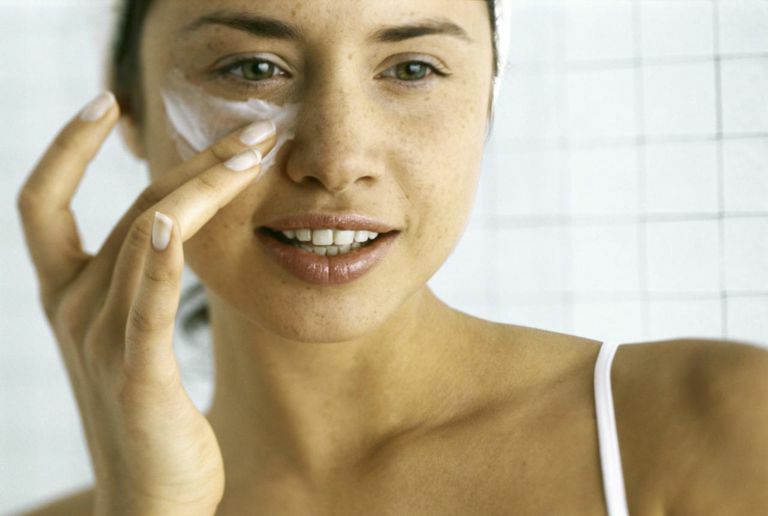 Dark circles are usually the result of leaking capillaries in the fine skin under your eyes. This is not as dire as it sounds, and a lot of things can cause it: late nights, too much caffeine or alcohol, or not enough water. Last, but certainly not least, you can inherit the tendency toward dark under-eye circles from dear old mom and dad. Most of us who struggle with this problem frequently are looking at a genetic cause. The good news is that no matter why they're there, you can treat the suckers. The bad news is that dark circles are one of the tougher problems to eliminate without -- as you mentioned -- pricey lasers. You need to take a two-prong attack here: 1. reduce the appearance of dark circles to the extent that you're able, using non-laser technology, and 2. hide what you can't fix. Next, you want to try to stop the bleeding, so to speak. To halt or slow those leaking capillaries, experts suggest everything from taking a multivitamin to using creams with vitamins K, C, or B in them. Here's where you'll need to do some experimenting: I've found the under-eye area particularly tricky in terms of figuring out single solutions that work for most people. For example, I suffer from puffy eyes. The only thing that really helps me is an eye cream with caffeine in it. But I have friends with the same issue who swear by cucumber-based creams or even Preparation-H. I, however, have a policy that what goes on the hiney stays on the hiney, so I stick with my Clinique All About Eyes. It all depends on what works for you. Regardless of which cream you go with, you're probably going to wind up with some residual circles that need covering. The trick, here, is to pick a very light-weight product and apply it sparingly. To this end, if you're starting your eye cream journey, I recommend giving Olay Regenerist Eye Regenerating Cream + Touch of Concealer a shot. It's cheap -- between $15 and $20 in most stores -- and it tackles both the underlying problem and the appearance issue by combining niacinamide, vitamins B5, B3, and C, and a light-weight concealer. My only word of caution is that this product only comes in one shade, which is intended to match "most skin tones." So if you're very fair, or not of Anglo-European extraction, this might not work for you. In that case, I'd recommend starting off with a roller-ball under-eye serum, followed by your favorite concealer.